Retractable pencils are easy to use, just twist the pencil to move the lead to the desired length. Both the eye and lips are available in a wide selection of colors. 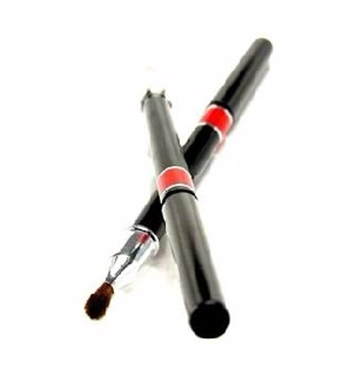 Pencils are packaged with a sleek black barrel, color indicated on barrel and includes a smudger for the eyes and a brush for the lips. Waterproof pencils remain intact on the lips and eyes for an extended period of time-often all day! Pencils apply smoothly and may be smudged if desired to create a blended, professional look. 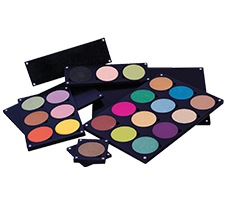 All pencil colors may be easily removed with make-up remover or facial cleanser. Ceresin, Ozokerite, Beeswax, Microcrylstalline Wax, Carnauba Wax, Polyethylene, Castor (Ricinus Communis) Oil Octyl Palmitate, Lanolin, Petrolatum, Propylparaben, BHT.